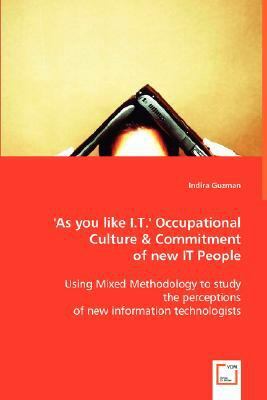 Guzman, Indira is the author of ''As You Like I.T. '', published 2008 under ISBN 9783836481045 and ISBN 3836481049. Loading marketplace prices 139 copies from $79.57 How does the rental process work?